The callery pear (Pryus calleryana) is a medium-sized tree that was introduced to the U.S. from Asia in the early 1900s in an attempt to fight the fire blight of the common pear. It has commonly been used as an ornamental due to its’ showy white flowers in early spring and beautiful fall foliage. This rapidly growing tree provides shade around homes and commercial property and birds consume the fruit. There are both thorned and thornless cultivars. The Bradford pear or Chanticleer pear are common cultivars that show resistance to disease and pests and tolerate a range of environmental conditions. The callery (or Bradford) pear has a full, dense and pyramidal growth form with smooth gray bark. Its showy white flowers with five petals appear in early spring before the leaves emerge. 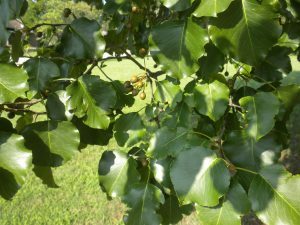 The glossy leaves turn dark red in the fall and the tree produces small green to brown fruit. 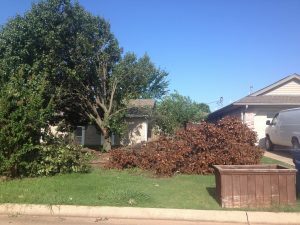 Callery pear are weak trees that are prone to wind and ice damage. thickets results in the shading out of native species, causing a rapid change in plant and wildlife communities. This tree is a significant threat to native grasslands and grassland wildlife, but also invades forested areas. Due to its dense structure, callery pear is an excellent roosting tree for gregarious blackbirds, grackles and starlings, which are problematic in urban areas due to defecation on cars and sidewalks and human health concerns. Callery pear is a weak tree and is easily damaged by ice and wind, commonly resulting in utility outages. Callery pear flowers also produce an unpleasant smell of rotting fish. Callery pear can rapidly transform productive agricultural land into dense woodland. Zero tolerance for callery pear is recommended. As it is a vigorous resprouter, it is even more difficult to control than the native eastern redcedar. Unless completely uprooted, herbicides will be needed. Mowing is not an effective control method due to resprouting. Newly established trees can be sprayed with a foliar herbicide such as triclopyr. Trees less than 6 inches in diameter at the base can be killed with a basal bark method with either a spray bottle or backpack sprayer. Spray from the base of the stem (at ground level) up to approximately 12 inches and fully coat the entire circumference of the stem with a solution of 25 percent triclopyr ester (approximately 60 percent active ingredient) and 75 percent crop oil. After cutting the tree down, spray the stump within about 15 minutes. If using triclopyr ester, then apply solution with 25 percent herbicide product (approximately 60 percent active ingredient) and 75 percent water to the entire cambium (outer portion of tree just under the outer bark). Undiluted glyphosate also can be used for cut-stump treatments. Callery pear are prolific seed producers, with saplings producing seeds as early as three years of age, so follow-up treatments likely will be required. 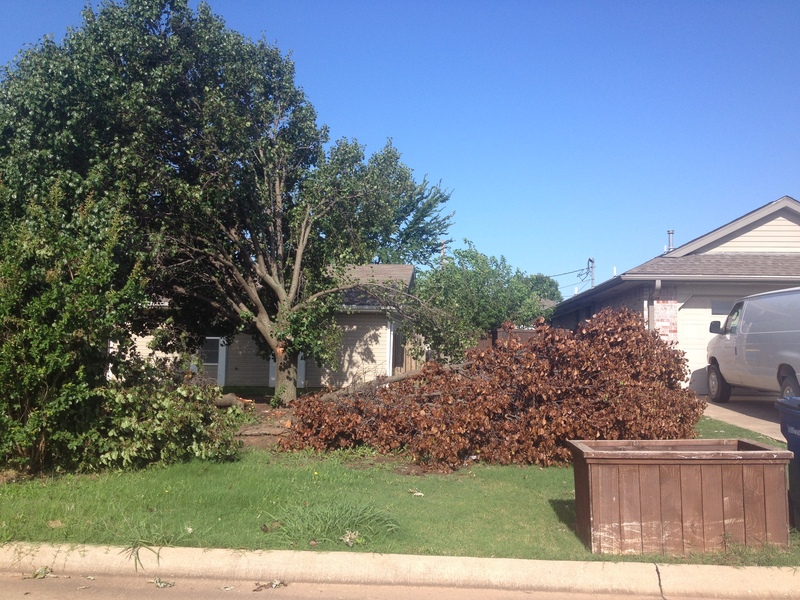 There are many native trees that make good alternatives to callery pear in Oklahoma. 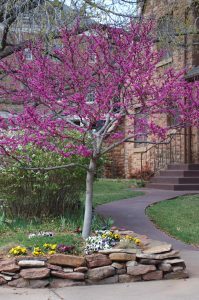 Plants such as eastern redbud (Cercis canadensis), American plum (Prunus americana), Mexican plum (Prunus mexicana) and Carolina buckthorn (Frangula caroliniana) are commercially available, beautiful and noninvasive. 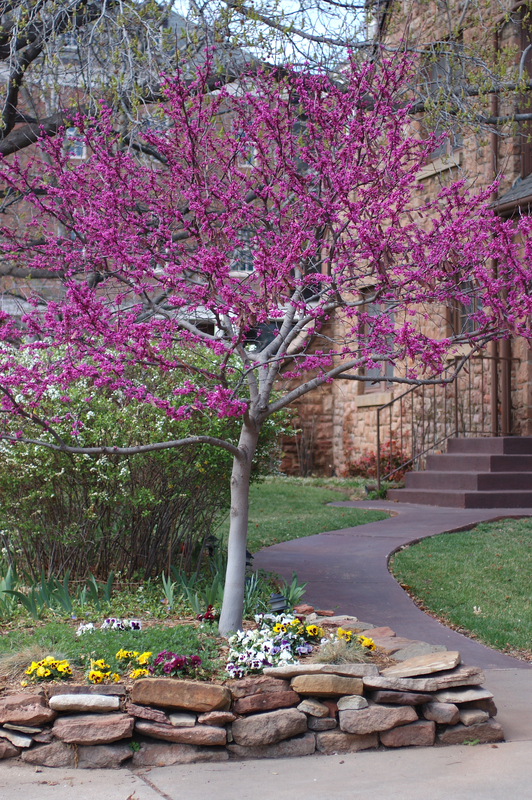 The Eastern Redbud is a good alternative to callery pear. 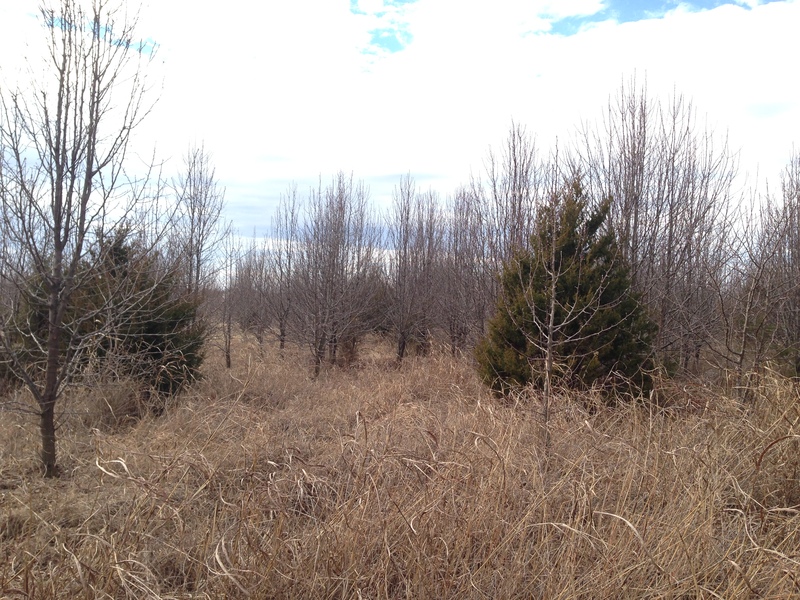 • Remove all callery pear from your property and be vigilant in controlling new seedlings. • If you see callery pear for sale, discuss the issue with the nursery owner. • Talk to city representatives about controlling callery pear on city property and programs to discourage invasive plants within the city. • Discuss invasive plants with your homeowners association and suggest removing them from common areas. For more information on invasive plants, visit https://www.okinvasives.org.